These cute cupcakes may not be quite as spectacular as some of my other creations, but they’re simple to make and are full of nomm. 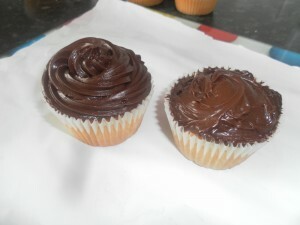 I’ve been rather short on time so I’ve even used cheat’s frosting to make them nice and quick to make. 1. Using a wooden spoon, beat the butter or margarine in a bowl until soft. Then, add the caster sugar and combine until the mixture is fluffy and light in colour. 2. Lightly beat the eggs in a separate bowl before adding to the butter and sugar mixture. When combined, add the vanilla extract. 3. Sift the flour and combine with the other ingredients. Once thoroughly mixed, add the milk. 4. Place the mixture into 12 cupcake cases, preferably cupcake cases rather than generic cake ones as they’re a better size. Once divided, place in a muffin or cake tin (muffin tins are ideal for a good shape) and cook in the oven at 180 degrees for approximately 15 minutes or until golden and spongy. Once cooked, leave them to cool until completely cold. 5. Using the cheat’s frosting, or your own if you prefer, ice the cupcakes. Now, it’s completely up to you which method you use for putting the frosting on. Personally, I think properly piping the frosting on gives the best effect, but it does make the cakes rather sickly. If you’re not as confident with piping or don’t have the patience, I nice messy look also works. 6. Whack out a little regal-ice and your food colouring. I’d advise using gloves at the point as it gets very messy. Add some green food colouring to a chunk and work the icing in your hands until you reach an even and desirable colour. 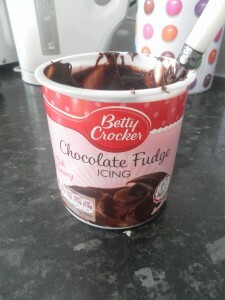 The icing can become a little warm here, in which case you should set it aside in the fridge for about ten minutes. Do the same with yellow to create your second colour. 7. Either dust a chopping board or surface with icing sugar, or use some greaseproof paper to roll our your icings. Using a knife with a flat edge, cut a large triangle out of the green icing and set aside. 8. Now cut a square out of the yellow icing, then split it into four equal triangles and place three of them on top of the large green one. 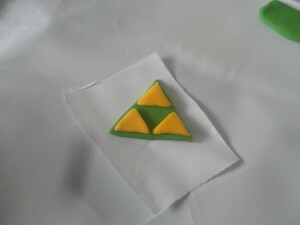 I’m sure if you’re making these you’re a Zelda fan and familiar with the triforce formation. 9. The yellow triangles but not be quite the right shape, but they are fairly easy to mould with the use of a small knife once in place. 10. As Regal-ice can get soft very easily, place the finished Triforce in the fridge for ten minutes. 11. 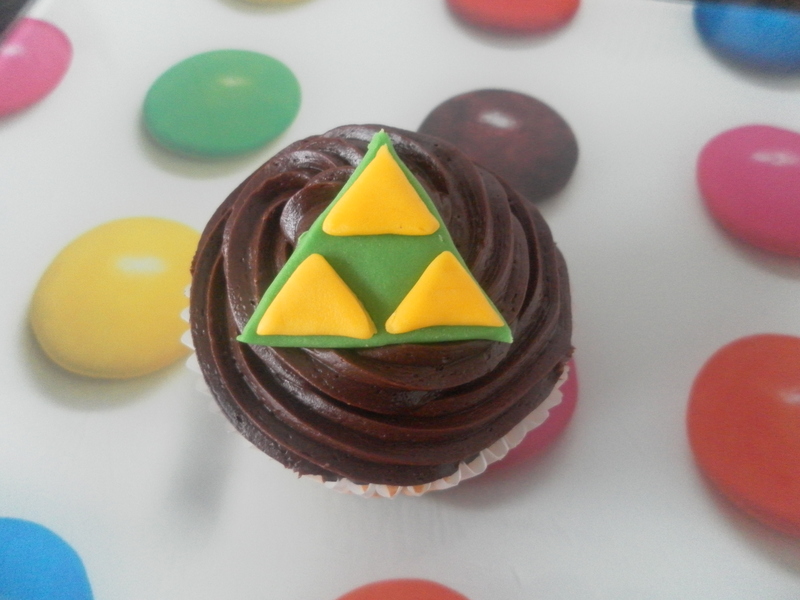 Finally, add the Triforce to the top of the cupcake and you’re done!